Join us at Ennis’s oldest pub for a delicious dinner made fresh to order. 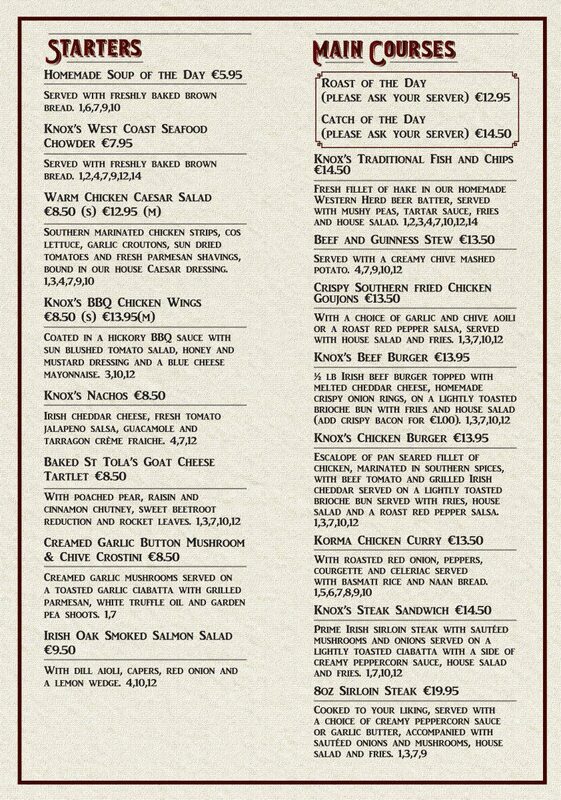 Our menu is designed for all ages and tastes, and our pub is the ideal setting for couples, families, large groups and single diners, all looking for a relaxed environment in the hustle and bustle of Ennis’s town center. Dinner is served every day from 4 to 9pm.